Now this one is a bit of an epic. 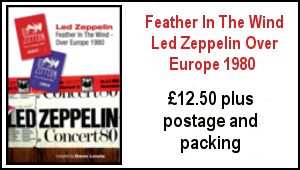 This was first published in TBL 13 – It’s an on the road chronicle of the TBL crew’s adventures in pursuit of Jimmy Page and Robert Plant across the month of March 1998. 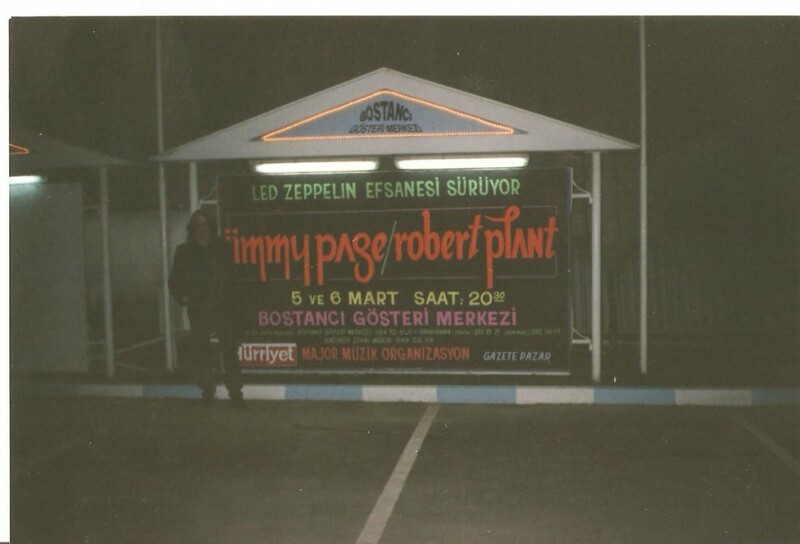 This took in two dates in Istanbul – something of a zenith in my own ‘’Crazy things I’ve done in the name of Zep’’ portfolio, followed by the superb Shepherds Bush Empire gig which in turn was followed by successive TV recordings at Top Of The Pops in Elstree and TFI Friday in Hammersmith. 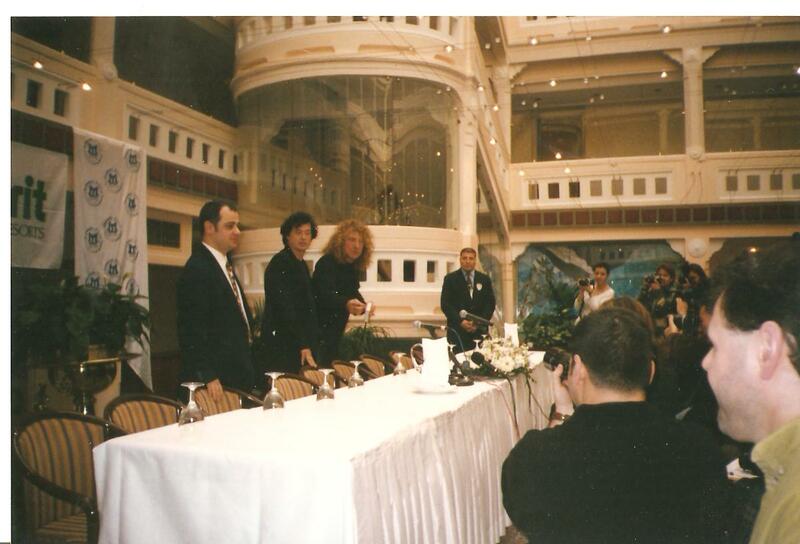 Above: P & P arrive for the press conference at the Merit Antique Hotel- DL looks on in reporter mode. There’s a real warm glow about the audience as they shuffle out. 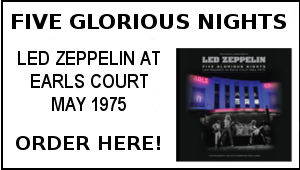 And something of a mini Zepp Convention ensures as the UK central Europe clan gather excitedly. From the UK there’s Roly, Steve Jennings, Dave Fox, Dave Rigg and the larger than life Dardo Simone in from New York – who incredibly has parked his hire car right outside the venue . I point out a young lady of around 18 who I had seen dancing enthusiastically throughout the show. 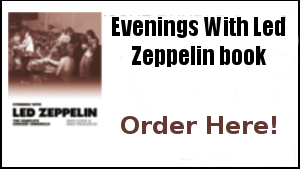 Led Zeppelin had clearly played their final American tour years before she was born. But that’s always when it really hits me. To see a new generation inspired by this music just as we’ve been inspired years before. Yes the wheel rolls. It’s enough to make you feel bulldog British proud. The lights come back on partially. And announcement from the stage informs that the area has been hit by a power cut and the PA is being powered by an emergency generator (shades of Copenhagen ’79). Thankfully the lighting improves and the support act kick off around 9.30. By the time the stage is cleared ready for Page and Plant the arena is packed to over-flowing with little room for maneuver. I’d say at least 2,000 more are in tonight, which makes for some uncomfortable viewing but luckily I manage a good spot to the right of the stage. 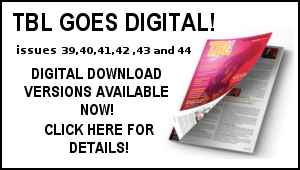 First published in TBL 13 –Currently out of print – re print planned. Copyright Dave Lewis/TBL 2010 – not to be reproduced without prior permission. 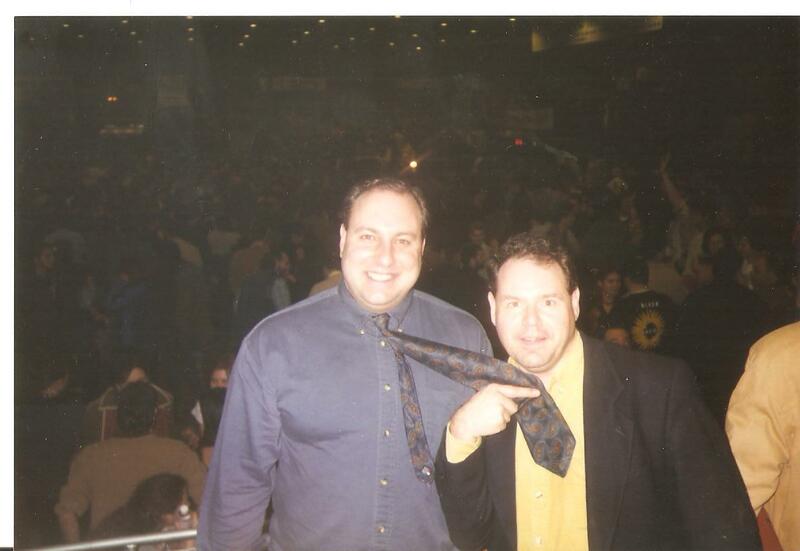 Fellow Bostanci boys – yes that was some journey we underwent – the worry of which took at least a week off my life! Love this story Dave. And thanks for the pictures. The Bostanci 5! I’d love a reunion if we can get Page out on the road! 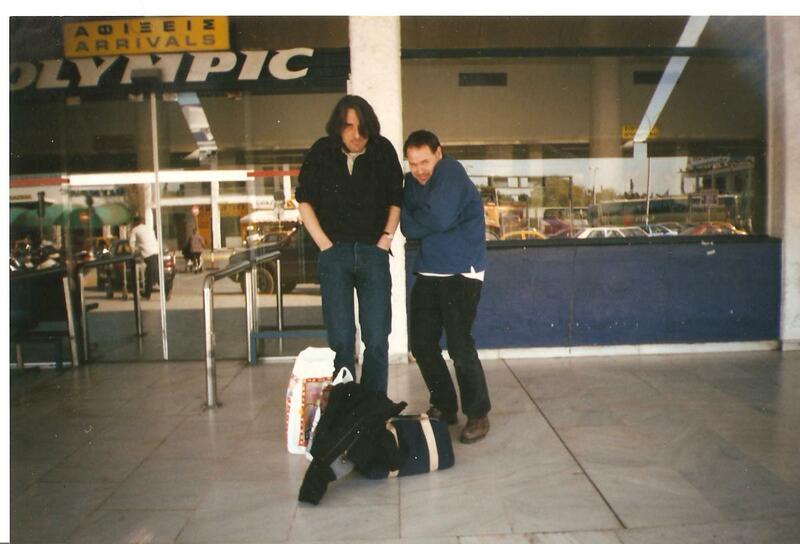 Proudly attended 15 shows in 1995 and 15 shows in 1998 in 4 countries. 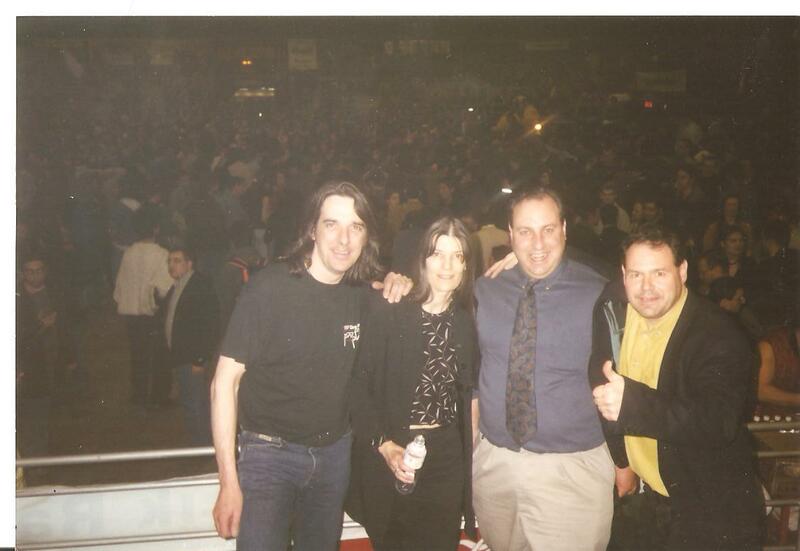 one of the most memorable moments of my life “long live the Bostanci 5.” Can´t wait to read about this in DL`s memoirs 🙂 hey maybe we should have a Bostanci reunion! Great article Dave. Brought back so many memories. Seeing the 95 show at Wembley and in New Orleans, 98 in Chiacago (front row!, comp tickets from a roadie!!) and Wembley.